Controlling wireless appliances is the latest bubble in our fast-paced technological age. And it’s no wonder why, it’s cool, it can save you money, and it can keep you and your family safe. Have you ever left your house and thought “oh shoot, did I leave the stove on?” Well, now you can just pop open an app in your smart phone and check. That’s a pretty fair alternative to being stressed out all day. ZigBee and Z-Wave were one of the first available technologies in the IoT industry and continue to be a go-to standard for smart homes and smart businesses. What Exactly Are ZigBee and Z-Wave Anyways? ZigBee and Z-Wave devices send out signals to communicate with each other using radio frequencies. Appliances use this signal protocol to send and receive data over your network. So for example if your Z-Wave refrigerator was left open, it might send a signal to your hub which might be set up to send you an alert to your phone. 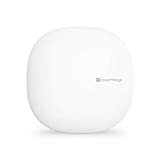 Both Z-Wave and ZigBee use what’s called a mesh network. This extends the range of your devices by hopping the network communication from one device to another. So as long as one device is within 50-100ft of another device it can connect to the network without needing to be in range of your router. Both devices have an alliance, which is a consortium of manufacturers that build their wireless devices based on that technology. The ZigBee alliance was established in 2002 and has over 400 members producing over 600 ZigBee certified products. The Z-Wave’s alliance has over 250 manufacturers who are members of their alliance which produce over 900 certified products. Z-Wave was created by a company called Zensys back in 2004. Zensys was a startup company based in Denmark, but was bought out in 2009 by Sigma Designs. Z-Wave uses a 908.42 MHz frequency in the US and can handle up to 232 different devices at one time. Each item in the network has its own unique Node ID which makes it easier to set up as well as being more secure. Since Z-wave uses a 908.42 MHz frequency it won’t interfere with a wireless router. It is also extremely easy to set up, so you don’t need much technological know-how to get it up and running. It also has very good compatibility with other devices, which is their main selling point. Pretty much any smart home devices will have the ability to connect with Z-Wave in some way. Z-Wave is a little resource greedy and may require you to replace it’s batteries a little more often than ZigBee. This also makes the products a little larger in size. 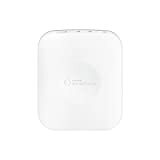 Z-Wave does have a limit of how many devices that can connect, but generally you will never need any more that its limit of 232. Z-Wave devices are typically a little more expensive than ZigBee. Z-Wave works best for residential homes or smaller businesses. While it does have a hop function, it can only hop four times maximum, so if you’re in a really large building or plan on using it outdoors this may not be the best option. ZigBee-style digital radio networks were technically created in the early 1990s, but were officially and formally categorized as an entity in in 2004. Then in 2006 an improvement to the technology was released which is now known as ZigBee. The ZigBee protocol is designed to be low-cost and low power consumption. This makes it really easy to add lots of wireless features that run on batter throughout an area. It can also hop up to 15 times which gives it an extremely large range of connectivity. It has no limit to how many devices can connect with each other either, which could possibly come in handy depending on what they’re used for. Although it has more potential on a larger scale, for smaller projects it can be way overly complicated to set up. Trying to set up ZigBee for a few sensors in a residential home for example might not be worth the headache. Another issue is its compatibility. Although it’s open source, not as many companies are picking up ZigBee as an option, making it seem more proprietary. ZigBee is a great option for a tech-savvy do it yourself expert who has a very specific plan. If your project might include extreme scalability or low-cost efficiency is a large priority. If you don’t mind doing more troubleshooting to get it setup and compatibility with other platforms is not a concern. 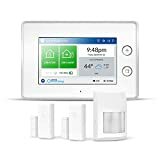 If you’re planning on adding your smart devices to a home security system, you might want to go with Z-Wave. Their compatibility and reliability make them a great choice. If you’re not sure where to start, consider talking to an expert at Protect America. With our systems you always have an option to add a Z-Wave chip to your control panel. Keep you secure on the go. Get a free quote today.